Minimally invasive complex spinal surgery is our specialty. Conditions that we routinely treat with complex minimally invasive or less invasive spinal surgery techniques include spondylolisthesis, scoliosis, instability, failed previous surgeries/nonunion, and occasionally degenerative disc disease. Many of these conditions are difficult to treat, and traditional surgical approaches can result in significant pain and disability. 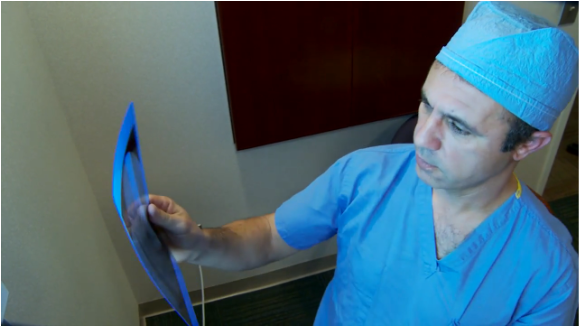 Our minimally invasive options results in better outcomes, less complications, and high patient’s satisfaction. We have several years of data to support this statement. Surgery involving the spine can occur anywhere along a person’s vertebral column. This includes their cervical (neck), thoracic (upper back) or lumbar (lower back) spine area. There are many different types of spinal surgeries that are performed. We have decided to categorize spinal surgery as straightforward or complex, and also discuss minimally invasive options. Includes spinal surgery for herniated or bulging discs in the lumbar or cervical spine, as well as surgery for lumbar spinal stenosis (a narrowing of the spinal canal where the spinal cord +/or nerve roots travel). This type of surgery generally involves making a small incision in the skin, opening a small window in the bone, and relieving nerve root compression by removing a small amount of bone or other tissue over the nerve root, and removing the herniated part of the disc that is compressing the nerve root. This is a condition where the disk material between two vertebrae has ballooned out of its normal position, causing compression or pressure on the nerve. In the case of herniated cervical discs, there may be pain and/or numbness/tingling in your neck and/or arm(s) as well as weakness of the arms. In the case of lumbar herniated disc, there may be similar symptoms in your low back and legs. This is a condition in which calcium built up on the bony structure of the cervical or lumbar spine. This is a normal aging process. However, in some instances, the calcium build up, or spur, may impinge upon a nerve or nerve root causing pain and discomfort. This can be manifested as weakness or numbness in the arm(s) or leg(s) as well. This is a condition in which calcium builds up around the canal, which houses the spinal cord (or main nerve) or nerve roots. This too is normal aging or arthritis in the cervical spine; however, if pressure is on the spinal cord, numbness and weakness in the legs can occur. In the cervical spine, if this condition is left untreated, it can cause paralysis. In the lumbar spine, is condition generally produces numbness, pain, and/or weakness in the legs. Use the search engines to type in the specific diagnosis you are looking to learn more about. You can also go to our Patient Resources Center to see a more complete listing of useful web sites. This type of surgery is usually performed for any condition that might cause spinal instability, whether from the primary disease or from the surgical approach. Complex spinal surgery generally involves some type of spinal instrumentation and the fusion. The artificial disc may someday be used in place of fusion in the very selected cases, but would still be considered complex spinal surgery. This is a condition where the disk material between two vertebrae has ballooned out of its normal position again, causing compression or pressure on the nerve. This condition may cause pain and/or numbness/tingling in your low back and/or leg(s) as well as weakness of the legs. This is a condition where, for a variety of reasons, the spine is felt to be unstable. This may be congenital (you were born with it), or may be the result of previous surgery, an accident, a tumor, an infection, or another reason. This is a condition in which one vertebra slips forward on a vertebra next to it. This condition may cause pain and/or numbness/tingling in your low back and/or leg(s) as well as weakness of the legs. This also has a variety of causes, and is usually treated with fusion. This is a condition which generally occurs in older adults, and is due to degeneration of the lumbar spine resulting in curvature and rotation of the spine. This can also occur in patients with underlying idiopathic or atelectasis scoliosis. These patients may have neurologic deficits from nerve root compression secondary to aging changes and arthritic changes, but also usually have underlying chronic back pain, which may respond to surgical treatment. This is among the most complex spinal surgery that is performed today. There are a variety of other conditions that may require a fusion, such as removal of spinal tumors, misalignment of the spine, segmental instability, and painful disc disease (where the pain generator is felt to be in the disc). The indications for surgery include severe incapacitating lower extremity (buttocks, thigh, leg, or foot) pain, the presence of a neurological deficit (meaning either lower extremity weakness or unpleasant numbness or tingling), intractable low back pain, recurrent disc germinations, failed prior lumbar surgery, spondylolisthesis (slipped vertebra), and/or lumbar spinal instability. Many of these complaints often benefit from conservative management and because of this, a thorough trial of conservative management is often indicated.